Pearl Jean “Nini” Colyer, 87 of Freeman Spur, passed away 2:30 p.m. Tuesday, November 20, 2018 at Helia Healthcare of Energy. Jean started her working career as a seamstress at Smoler Brothers Garment Factory in Herrin. She retired from Bridal Originals in Belleville. Jean was a member of Freeman Chapel Worship Center in Freeman Spur, International Ladies Garment Workers Union. Jean enjoyed going swimming at John A. Logan College for therapy. She loved to bowl and travel. Jean was born April 22, 1931 in West Frankfort to Mahlon Elmer and Lothya (Waller) Rich. Jean married Charles “Mack” Colyer on November 23, 1961 in West Frankfort. He preceded her in death on January 28, 1998. Surviving are a brother and sister-in-law, Leon “Nubby” and Sandra Rich of West Frankfort; sister, Gaila Johnson of Herrin; nieces and nephews, Jana Clark, Tammy Smith, Melanie Smith and her fiancé, James Grant, Kendra and Donnie Bishop, Kevin Summers, Benji and Amber Rich, Lee and Beth Rich, Daniel and Kathy Johnson, Jarrett and Melissa Johnson, Matthew and Angie Johnson; several great nieces and nephews and several great great nieces and nephews and her life-long friend, Grace Ayers of Herrin. She was preceded in death by her husband, two sisters and three brothers-in-law, Mary Jo Ann and Bobby Leon Summers, Patricia Y and Charles Edward Smith, Rev. Kenneth Johnson and two nephews, Bruce Smith, Kenney Clark and two great nephews, Kevin Scott McDavid and Caiden Johnson and great nieces, Adeline Mae and Georgia Anne Priddy. The family wish to extend their sincere thanks to Dr. Mark Korte, Dr. Raja Maddipoti, Dr. Kevin Chen, the staff, nurse's and C.N.A. 's at Helia Healthcare in Energy for the excellent care and concern provided to her and her family. Services will be 1:00 p.m. Saturday, November 24, 2018 at Meredith-Waddell Funeral Home in Herrin with Rev. Don Colson and Rev. Andy Lee officiating. Visitation will be from 11:00 a.m. until 1:00 p.m. Saturday at the funeral home. Burial will be in Herrin City Cemetery. To send flowers or a remembrance gift to the family of Pearl Jean "Nini" Colyer, please visit our Tribute Store. 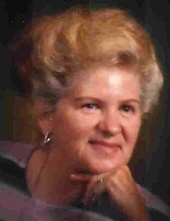 "Email Address" would like to share the life celebration of Pearl Jean "Nini" Colyer. Click on the "link" to go to share a favorite memory or leave a condolence message for the family.